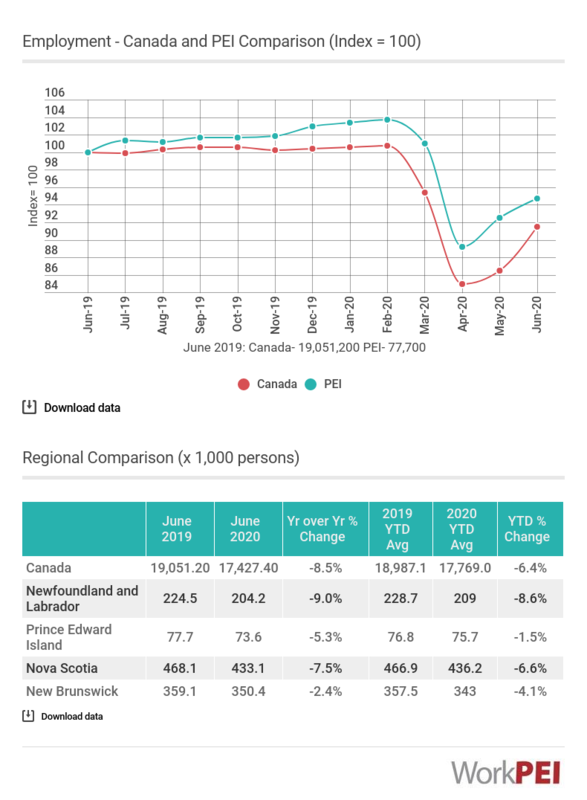 Prince Edward Island’s employment numbers increased to 77,000 (+2,000) when comparing February 2019 to March 2019. On a year-over-year basis, employment increased by 1,700 persons or 2.3% in March. Over the same period, Canada’s employment increased by 1.8% or by 331,600. 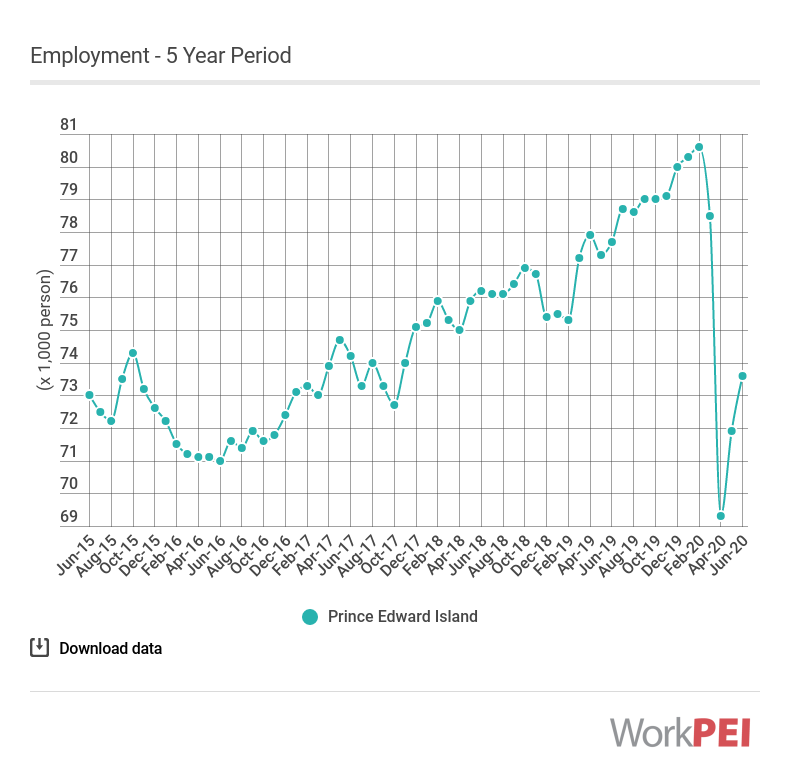 In Prince Edward Island, there was a year-over-year increase in persons employed full time (+3.8%) and a decrease in persons employed part time (-6.3%). Adapted from Statistics Canada, Table 14-10-0355-01 (Labour force survey estimates). This does not constitute an endorsement by Statistics Canada of this product. Adapted from Statistics Canada, Cansim table 282-0141 (Labour force survey estimates). This does not constitute an endorsement by Statistics Canada of this product. 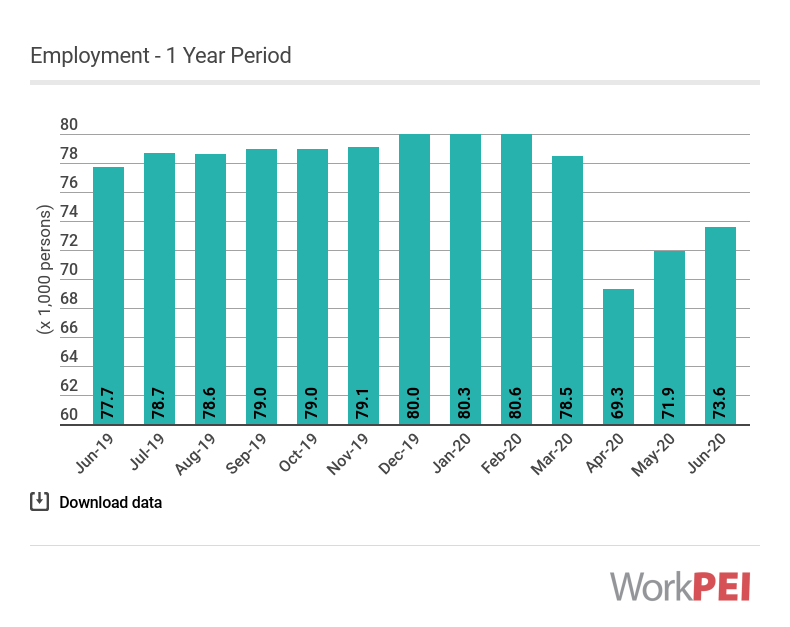 The number of people who worked for pay or profit, performed unpaid domestic work, or had a job but were not able to work due to legitimate absence. For this indicator seasonally adjusted estimates are shown.